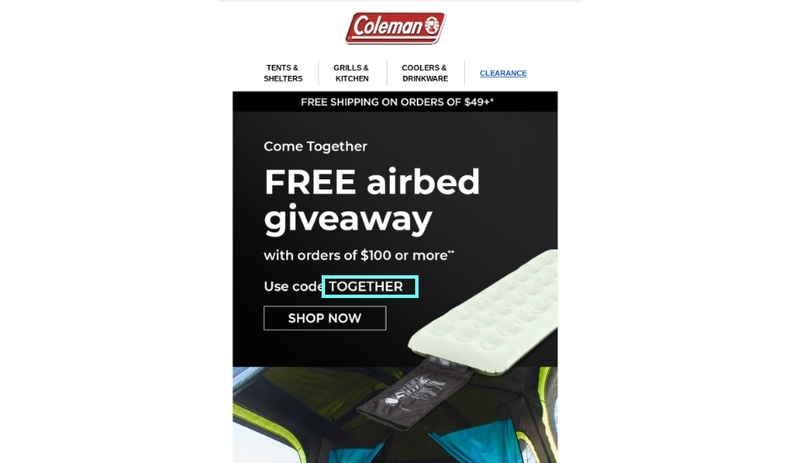 David Pocate You can get Free Airbed Giveaway Your Order Over $100 at Coleman (Site-Wide). You just have to apply the discount code: TOGETHER. This a limited time offer. Matthew Zimmerman Just place the qualifying items in your shopping cart. Enter the promo code during the checkout process to apply the discount. Some exclusions may apply.